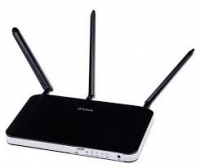 D-Link’s DWR-953 Wireless AC750 4G LTE Multi-WAN Router allows you to access and share your super-fast 4G LTE mobile broadband with multiple devices. Once connected, you can transfer data, stream media, and send SMS messages. Simply insert your SIM card and share your 4G LTE Internet connection through a secure wireless network or by using any of the four Fast Ethernet LAN ports. Simultaneous 4G LTE/3G mobile Internet and fixed broadband Internet support allows you to combine Internet connections to give you faster Internet speeds. You can also set up fail-safe Internet should either connections fail.